Widgets are inseparable parts of a blog. The sidebar is a great place to promote a lot of content and display web elements that wouldn’t look appealing when shown in other parts of the site. There are a few great WordPress widgets any blog should have. We are going to take a look at them in this article. 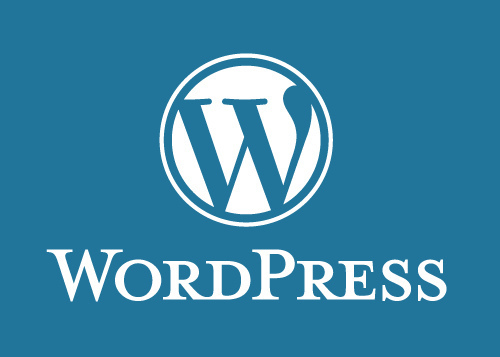 WordPress comes equipped with a default widget that allows you to show Recent Posts as a list. Although this widget works great out of the box, the lack of thumbnails makes it less interesting to users. To add popular or recent posts with thumbnails to your sidebar, you can install additional plugins. The Recent Posts Widget With Thumbnails plugin is a good place to start. You can configure the size of the thumbnail to be displayed along with other settings for the widget. The sidebar is perfect for promoting your social media pages. There is an easy way to display your social media profiles too: Simple Social Icons. This plugin adds a Simple Social Icons widget with beautiful, simple icons. You can choose between themes and colours. You can also set which social media pages you want to display. The widget is also responsive, so your social media icons will appear correctly when viewed from mobile devices. Alternatively, you can display social counts and show how popular you are on social media. The Social Counts plugin adds the number of followers you have under every social media icon. The default Categories widget from WordPress is superb. You can point users to different categories on your blog. You can even display the number of posts you have in each category. You can also use the Category Posts widget to your advantage. Unlike the default widget from WordPress, Category Posts display the latest posts from a category of your choice. Stack several of this widget to display posts from different selected categories, and you can increase your users’ time on site substantially. Image Widget is a great plugin to use. Normally, you would add a Text Widget and insert a <img> HTML code to add images to your sidebar. Image Widget simplifies the process and allows you to upload or select an image visually. You can then add a caption or a URL to the image. Image Widget is great for displaying on- or off-site promotional materials with an image. It is also designed to be responsive, so you don’t have to worry about adjusting the width of the image manually for maximum compatibility. No personal blog is complete without an author’s bio displayed on the sidebar. Yes, you can use Text Widget and make your own bio using HTML codes, but there are simpler ways to do it. The Author Bio plugin adds an extra widget that will take care of this for you. You can automatically pull your bio from the WordPress user data, add a custom picture to the widget and many more. By keeping all of the WordPress widgets that have been mentioned so far in mind, not only will you quickly find out that your blog is more successful, but you will also discover that managing it can be a lot easier than it may have been until now. Which of these widgets do you already use? Let us know your thoughts about them in the comment section below. It would have been great if you could also provide a link to all the five widgets. I searched for the “Categories Widget” you mentioned, but there is a long list of widgets, that can be used instead of default Category! When i mention plugin in my blog post i always link to them, in this way a reader is aware of what plugin i am talking about. Hey Daniel, thanks for all the important points regarding the wordpress widgets. I will surely use them for creating my blog. I think this will also help me to arrange the content in the blog with all the proper alignments to make a quality blog as well. Thanks for the post.